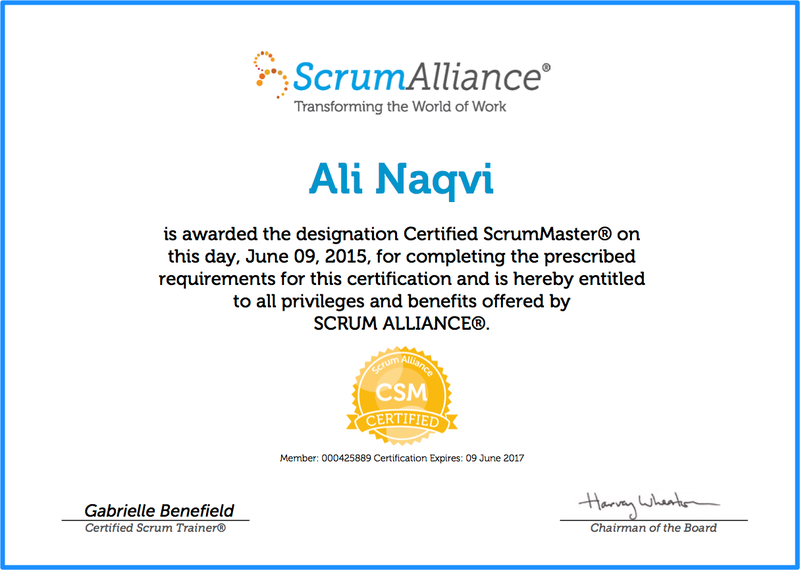 Ali Naqvi is a CERTIFIED SCRUM MASTAH! I just passed the exam, thought I’d share the news on me blog! Its been a long time coming and other priorities usually got in the way, but hey this one is now OWNED! 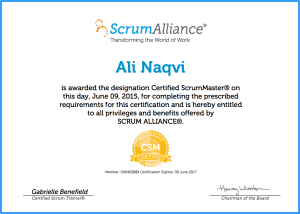 Next one up… Scrum coach? Six Sigma?